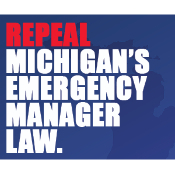 The Stand Up for Democracy coalition along with Rainbow/Push Detroit filed an emergency appeal today demanding that the Board of State Canvassers rule immediately to put the repeal of Public Act 4 – Michigan’s anti-democratic Emergency Manager law — on the November ballot. I find myself using the word “astonished” or “astonishing” a LOT lately when it comes to Michigan politics. My level of cynicism seems to be rising exponentially as each week passes when I see the outrageous and egregious things that Republicans are doing in our state. But this might take the cake. Subscribe to FREE email notifications! Subscribe to or unsubscribe from free email notifications when new posts are posted. If you'd like to receive one email per day with a list of all the previous day's posts, click HERE. NOTE: If you were subscribed prior to October 2016, you will need to resubscribe. This service is free. 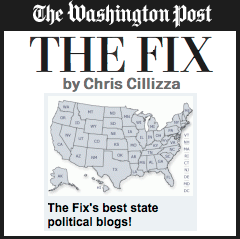 Chris Savage is the owner and publisher of Eclectablog, your one-stop shop for progressive state & national political news & commentary. 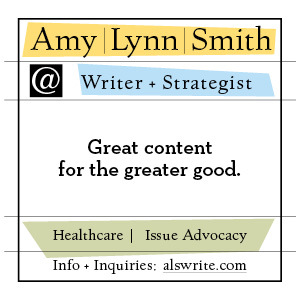 Amy Lynn Smith is a writer and communication strategist. Find her at alswrite.com or on Twitter at @alswrite. Mitchell Robinson is associate professor and chair of music education at Michigan State University. His research is focused on music education and education policy. Follow him on Facebook HERE and Twitter at @mrobmsu. His own blog is at MitchellRobinson.net. Anne Savage is a professional photographer and contributor to Eclectablog. Charles Gaba ("Brainwrap") is the Eclectablog web hosting provider and an occasional contributor. Tawana “Honeycomb” Petty is a mother, social justice organizer, youth advocate, poet and author. She was born and raised in Detroit, Michigan and is intricately involved in water rights, digital justice and visionary organizing work in Detroit. You can learn more about Tawana "Honeycomb" Petty by visiting honeycombthepoet.com. Follow her on Twitter at @CombsThePoet. Eclectablog is a proud member of the National Writers Union (NWU). All original content on this website is copyrighted © Eclectablog/Chris Savage, Anne C. Savage, LOLGOP, Amy Lynn Smith, Sommer Foster, Mitchell Robinson, Tawana Petty, & Susan Demas, all rights reserved. Unless otherwise specified, permission to excerpt portions of our written work is given as long as you provide a link back to this website and the appropriate author is credited. Please contact us for use of photos.